People have been moving from one place to another for thousands of years. Sometimes it is because of a new job or training. Moving for a change in climate is a popular reason for relocation. Deciding between what to take and what to leave, as well as the best way to make the move, can be stressful. Make every relocation a great experience with a well-organized plan. The following are tried and true helpful relocation tips and hints to help make your move a smooth one. The first information you need after deciding on the general area you plan to move is the name and contact information for an experienced Realtor in that vicinity. With the amount of building that takes place in most cities and subdivisions, only someone that knows the area is qualified to steer you in the right direction. Even if you decide to move back to the locality in which you grew up, the chances are good it is far different than what you remember.If there are special features you want included in your home search or that you will not even consider, let the Realtor know. Those who do not drive need access to an excellent metropolitan transit system. If work is the reason for the move, you might prefer to be closer to where you will be working. On the other hand, some professions find it more convenient to live in an area other than where they work. A Realtor that seriously wants to know what you can afford and what you have in mind is a valuable asset. 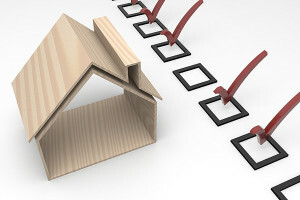 The more questions they ask and answers they get from you, the easier it is to show you homes that meet your criteria. Furthermore, they can send you information about the different communities and provide information about shopping centers, stores and other conveniences. You want to work with someone who has your best interests in mind. Another reason for selecting an experienced Realtor is the bottom line information available about local lenders. Pre-approval up to a certain dollar amount to purchase a home demonstrates that you are a serious buyer, qualified for home ownership and able to make a valid offer. Working with a lender in the area you are moving to is a wise step, as they can work with your agent and yourself if there is a problem. The familiarity both elements have with the local title company will help resolve situations swiftly. Even if this is just a short visit to meet the Realtor, possible lender and explore a few properties, there are things to take with you, such as your cell phone and perhaps your laptop or Kindle. Use the spreadsheet program on your computer to list things to carry along. List the things you want to do while away, such as finding a medical center, doctor and local pharmacy. Look for daycare facilities, senior centers and a well-recommended veterinarian, if needed. Ask your current bank if there is a branch conveniently located to where you are moving. Avoid bringing furniture that does not fit in your new home by bringing measurements of those items, including oversized beds and frames, your supersized refrigerator and any other bulky furniture item. Measure and record the width, height and length of each item (add it to your spreadsheet, for convenience). Take your tape measure with you to determine what will fit. If you are considering a two or three-story home, analyze how easy it will be to get large or heavy furniture to the upper level location. Check out the facilities that will help your children remain involved in activities they faithfully follow, such as soccer or karate. Find out what is offered at the local schools and if the kids will have a chance to participate. The ability for them to continue memberships in organizations like Girl Scouts, 4-H, and DeMolay might also affect your decision on the area in which you settle. You can look at school information online before heading out on your home-hunting trip and schedule an appointment at the schools that grab your interest. Many of the homes in Tampa, Florida have excellent schools for children to attend. By comparing the programs offered and school report cards, you will have a better idea of which schools and neighborhoods to visit. School enrollment can be stressful. Authorize your current schools to send records once they are requested. Each child's shot record is normally required. Find out if there are additional mandatory immunizations and get them taken care of prior to moving. Keep up to date on registration dates and deadlines for special classes and programs. Your Realtor will provide a list of contact information for services like the electric company and DMV. Notify all the businesses of your move, such as the newspaper service, postal service and utility companies. Send a letter with the date to end service and follow up with a phone call to be certain shut-off has been scheduled. It is a good idea to schedule the power turnoff the day following your departure, in case there is a last-minute change in departure. Note who you confirmed receipt of the request with on your list. Find out if a deposit is waived at your new location if your current server verifies longevity and a good payment record. Request a copy of the notice be sent there and keep one for your records. Medical records are sometimes available on a tiny USB drive called a Medic Tag. There may be a charge for the service. Check with your medical provider(s) and order one for each family member. A tip you will notice in several guides for moving is keeping important papers, such as diplomas and birth certificates, with you on the move, rather than packing them away. An additional tip is to make copies and take them with the originals to get notarized. Put the copies in a large envelope and send it certified mail to yourself at your new address. If you need the documents, you have them in your possession. You have chosen your new home. Now decide what to take. Pick up two separate rolls of colored duck tape at the local hardware supply. One color, such as green, will mark any object that is going. The other color, such as red, will identify those things you plan to sell at a yard sale, give to friends or donate to charity. If you have children, be certain they are allowed to take some of their possessions with them. Family and neighbors are excellent resources for helping with the yard sale. Contact various organizations in your area to find out which ones have free pickup and arrange a convenient time for collection. Determine if you are moving everything yourself or using a service. Set and confirm the date the movers will arrive. Get packing material from companies like U-Haul. Some moving companies offer a site van, which is parked much like a car in front of your house. You do the packing and loading before calling for pickup. 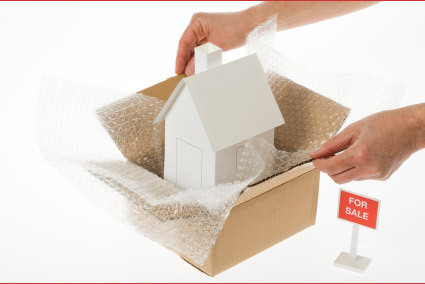 It is dropped off at your new location, where you do the unpacking and call for its pickup after it is unloaded. Other options include renting a smaller moving van or trailer. Confirm costs and time schedules. Save receipts regarding the move, as they may be tax deductible or reimbursed by your new employer.Children will enjoy packing their small toys and the bedding for the first night at the new home. Identify each box or crate by name or the room it should be placed in. Encourage help with the unpacking, also, so the entire family is familiar with the layout of the home and belongings.